Love this game, would love to win! Wow! What a great card! Would love to win! Love love your site. Makes shopping so easy! You really find the best gift cards! Hope you had a terrific St. Patrick’s Day! Thanks, as always for this opportunity! I just always love your free target gift card giveaways!! They cards are so cute! Would love to win 1, one day! LOL! I have “liked” you on facebook for a while and love your posts! I like you on facebook. Thanks for the chance to win and all of your tips. This would be so great to win. Thanks for the chance. What great gift card =) I hope I get in so I can see how far I can make it go.. lol But goodluck to everyone! I already like/follow TT on FB!! Thanks for the giveaways…this Giftcard is super cute! super cute gift card! That’s my favorite game. Just started following you over the last month, really love this site! This is such a cute Gift Card, I love it! My wife is a big fan! I would not mind having this card, we love totally target! 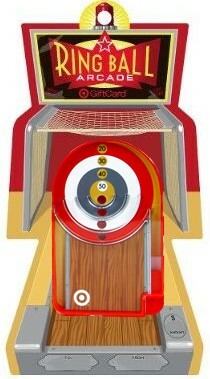 Love this site ~told a billion people about it~love target! Happily liked you on facebook! I like you on FB already!!! Thanks for the giveaway! Hope you’re enjoying the weekend. I love your blog! Fingers crossed!